Whether you’re signing for a car loan, apartment lease, or gym membership, somewhere you’ll be faced with fine print. Navigating a contract review checklist can be as complicated as the contract itself. Large corporations in many industries use contract management software across several departments to help navigate the process. And the documents you sign in your personal life are no less important. Online checklists help to dig into the details but can often include the same jargon. Avoid getting as involved in the review process as a law student might (power to them!) with these simple steps. Know the Basics – Think about and make a list of the main terms of the agreement for each party. Have a general understanding of the risks and responsibilities, as well as time requirements, scope of services, compensation, and expectations. Clearly identify all the parties, fill in all the blanks, and know how and when the agreement can be terminated. Talk it through – Of course you should never sign anything until you have a full understanding of all the terms and conditions. And the terms in nearly every agreement can be negotiated, they’re merely a starting point. Run through your list of main points with the other parties and have a mutual understanding confirmed in writing. Do not hesitate to discuss the terms before signing. You will be much happier with the outcome if you do. Let FeeBelly start working for you! 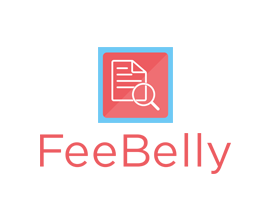 Instantly catch hidden fees, excess fees and costly terms buried deep in the fine print of financial agreements and contracts. In just three easy steps, this fee-sniffing app protects you from paying any more than you should. It gives you the ability to compare and renegotiate costly terms, or have hidden and excess fees waived before signing.